The Lava BrightSounds 2 is a multifunctional gadget for outdoors. When off on an adventure this is a great device to bring along as it’s a speaker, light and gadget charger. There are a range of colour to choose from you’ll see the green version in the video review below, it looks great and looking at the colour options there is something to suit everyone. Only the top section is coloured, the bottom section is an LED light. There is a nice carry handle which makes this really well suited for use out and about, it’s much easier to carry than a standard Bluetooth speaker and it’s not especially heavy either. 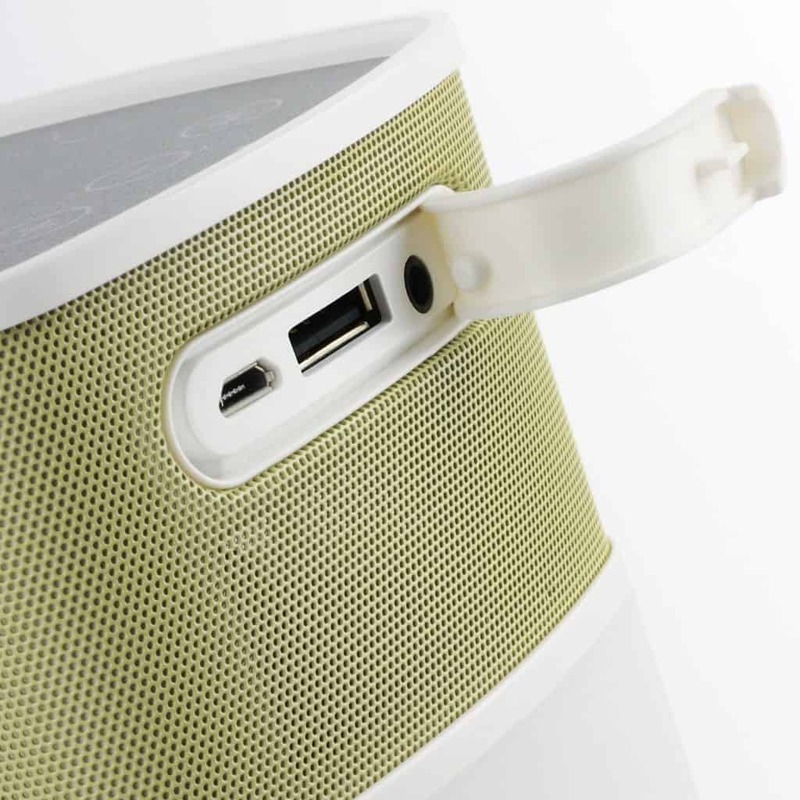 It comes with a USB cable and that can be used to charge the speaker or charge your mobile or tablet from the speaker. Note iPhone users will need to provide there own cable. It’s not the fastest charger I’ve tried, but it does the job and saves you having to carry around an additional power bank. The speaker is decent quality, it’s got a good volume and is bob on for outdoor use, perfect for some campside music. The LED lamp is also spot on, my camera has tried to compensate for the dark setting and bright light so it doesn’t look as good in the video as it does in person, this provides a lovely soft glow that lights the surrounding area. Popping the light on, holding it by the handle and get this playing some movie soundtrack and you’ll want to go off and explore a dark forest!